In the year 48 B.C., Rome is in the midst of Civil War. As Pompey and Caesar fight for control of the Republic, Rome becomes a hotbed of intrigue, driven by espionage, greed and betrayals. A beautiful young seeress staggers across the Roman marketplace and dies in the arms of Gordianus the Finder. Possibly mad and claiming no memory of her past, Cassandra— like her Trojan namesake—was reputed to have the gift of prophecy, a gift many in Rome would pay for handsomely...or resort to murder. Obsessed with Cassandra's mystery, Gordianus investigates her murder. As he peels away the veils of secrecy surrounding her life and death, he discovers a web of conspiracy linking many of Rome's most ruthless and powerful women. Now Gordianus's pursuit not only endangers his own life, but could change the future of Rome. 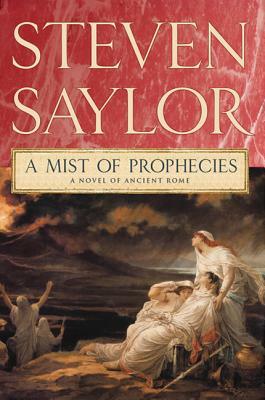 Steven Saylor is the author of the long running Roma Sub Rosa series featuring Gordianus the Finder, as well as the New York Times bestselling novel, Roma and its follow-up, Empire. He has appeared as an on-air expert on Roman history and life on The History Channel. Saylor was born in Texas and graduated with high honors from The University of Texas at Austin, where he studied history and classics. He divides his time between Berkeley, California, and Austin, Texas.